Our workshop spaces are limited! Location: Salle /room Neil Gaudry CCFM (Franco-Manitoban Cultural Centre), 340 Provencher Blvd. Working in non-fiction comes with both its perks and its limitations. How does one take the lessons learnt from working with limited budgets and apply them to an independent feature? How do we use the relatively free-handed approach to documentary filmmaking to give us an edge in feature film-making? From conception to raising finances to execution, experience with documentary filmmaking gives one a number of strengths and makes us aware of many pitfalls and alternative approaches that can help us with a feature film. Join Priya Ramasubban, writer and director of Chuskit, for an enlightening discussion on how to make the transition from documentary filmmaking to making one's first independent feature film. Priya Ramasubban has traveled the world making films for National Geographic, Discovery, the History Channel and other major international broadcasters. She is a storyteller at heart, dealing with complex subjects in a nuanced way. Priya was one of six people chosen from all over India for a screenwriter’s lab organized by the National Film Development Corporation through which she had the opportunity to develop the story for Chuskit under the mentorship of award-winning Dutch writer Jolein Laarman. Chuskit screens at Freeze Frame at CCFM on Saturday, March 9 at 1:00 pm and Sunday, March 10 at 1:00 pm, and on Wednesday, March 13 at 1:00 pm at the Winnipeg Art Gallery. Presented in partnership with On Screen Manitoba, IATSE, the DGC and Inferno Pictures. The beginning and the end of Priya Ramasubban’s film Chuskit are punctuated by sequences of mandala creation. Thus, the opening of Chuskit sets the narrative in a particular culture: Buddhism. Mandala means circle, and by extension sphere, environment, community. These drawings have a complex structure that are filled with coloured sand. In Buddhist culture, they are used in mediation and reflection. In this workshop, we will invite participants to create their own mandalas. We will offer them several black and white drawings that they will fill in with coloured sand. For each new touch of colour brought to the mandala, they will take a picture. Once the mandalas are finished, we will get short animated films where the mandalas will seem to create themselves thanks to the magic of stop-motion animation. Note that once the mandalas are finished, participants can erase them with a sponge or cloth. Participants will make their films using IPEVO cameras, which will allow them to work in small groups. The photos will be recorded directly on to the Stop Motion Animation software. They will then add a title, closing credits, and music. To tell the story of The Invisibles, Claus Raefle used different images. He mixed documentary images and fictional scenes, sometimes interspersed with archival images. This workshop will continue this style by focusing on Canadian history. We suggest that participants adapt a scene from Chester Brown’s comic-strip biography, incorporating testimonials as well as archival footage. Note that the testimonials will be written and made by the participants. They will therefore be “false,” but will aim to acquire the aesthetics of a documentary. The scene chosen for the workshop is taken from Chester Brown’s comic strip (pages 196-199) where there is discussion in which Louis Riel tells Gabriel Dumond that he is not going to try to escape, but that he prefers to surrender in order to put an end to the conflict. During his adventures, Jim Button meets gigantic and tiny characters. To follow the projection of the film, we invite you to discover the special effects that allow you to create them. In this hands-on workshop, participants will slip into the giants' skin in front of the cameras. Several special effects techniques will be honoured, some very recent and others more archaic but still work. In order to plunge the young spectators into the atmosphere of Oukybouky, we propose to them to make an animated film in a space of 3 dimensions. To do so, they will have at their disposal sets and characters created by our team with the help of a professional. In conditions close to those of a real studio (reflex camera, lighting ...), they will be able to give life to these characters by animating them frame by frame but also by recording their voices. The work done during this session will give birth to a small film edited by us. In this film by Lucy Tulugarjuk, the characters travel through a magical portal that allows them to teleport from Montreal to the Far North. If it is impossible to teleport into the real world, the cinema has long invented the means to do it on screen. For this practical workshop, we will focus on old special effects techniques that make it possible to make characters disappear and appear. This session will be an opportunity to rediscover, among other things, the work of the French Georges Méliès who contributed in the early 20th to make the 7th art the ideal tool to tell stories with fantastic character. A Freeze Frame classic! Students will have a chance to explore animation techniques using a variety of mediums and styles. These workshops can be tied with screenings to further students’ understandings of how filmmakers achieve magic on screen. Claymation: Using plasticine as the principal medium to build 3D models for stop-motion animation. Pixilation: Students use themselves as models. A quick, stylish technique that really gets the students in the picture! Paper: This is a very popular animation method using paper cuttings, drawings and 2D elements as animation tools. Junkmation: Pretty much anything goes! Everyday objects are brought to life through animation.The fun part about animation is that anything is possible! 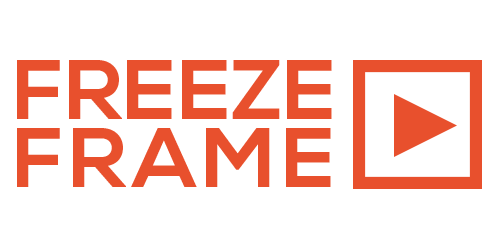 Please feel free to chat with our Freeze Frame staff to develop a workshop that suits your students’ needs. A note to teachers: please bring a USB / flash drive so the movies can be taken with you at the end of the day. Young filmmakers unite! This all-day workshop (and Freeze Frame classic) is designed to introduce students to the three major steps involved in making movies: pre-production, production and post-production. Students will be tasked with conceptualizing a short (1-page) story before arriving at the workshop. The facilitators will then work with the students to prepare, shoot and edit their movies (and if there’s enough time, screen them for the class!). Although storyboarding is probably best known as a technique for planning t.v. shows and movies, its application can be used for almost any type of narrative experience. Students will be exposed to -and explore- different storyboarding models, starting with narrative stories and moving into process-based interactive planning. Over the course of a half day, students will have a chance to speak with practicing filmmakers about techniques, ideas, processes and technologies related to film production. Geared especially for students with a previous filmmaking experience, these workshops offer a chance to further develop creative storytelling capabilities. These workshops can be designed to suit: if your students are interested in specific film production departments, we will match with one of the many talented filmmakers whose expertise can help further students’ appreciation, technical ability and understanding of the creative process. Choose from focused subjects such as directing actors, editing, cinematography, sound recording and design, and more! Games theory has been developing steadily over the past few years as a great way to diversify and develop critical thinking around technology and innovation. Plus it’s a lot of fun! Students will be exposed to a variety of different games which promote critical thinking, teamwork and innovative problem solving. Students will be encouraged to make a model of a character they create for a fictional video game designed by the facilitators. Applying basic game theory and promoting critical design elements, they will build, shape and model their characters onto 2D bodies. Participants will be encouraged to think about building their characters in a considerate manner, using anticipated challenges from the game’s anticipated narrative. In considering specific challenges posed within the gameplay, are there adjustments and changes to be made in their characters’ designs? Once the characters have been designed and built, why not book a second workshop and animate them in the afternoon?